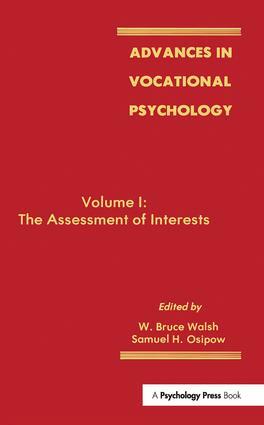 Advances in Vocational Psychology devoted to presenting and evaluating important advances in the field of interest measurement. Progress in three well known interest inventories -- the Strong Campbell Interest Inventory, the Kuder Occupational Interest Survey, and the Self Directed Search -- is closely examined. A focus on innovations in interest measurement directs attention to how more recent instruments provide technical and conceptual advances over older, more reliable ones. Both research and counseling perspectives combine to provide a well-balanced guide to the study of vocational psychology. How interest inventories can be used beneficially in the career counseling of minority and majority populations is also explored.